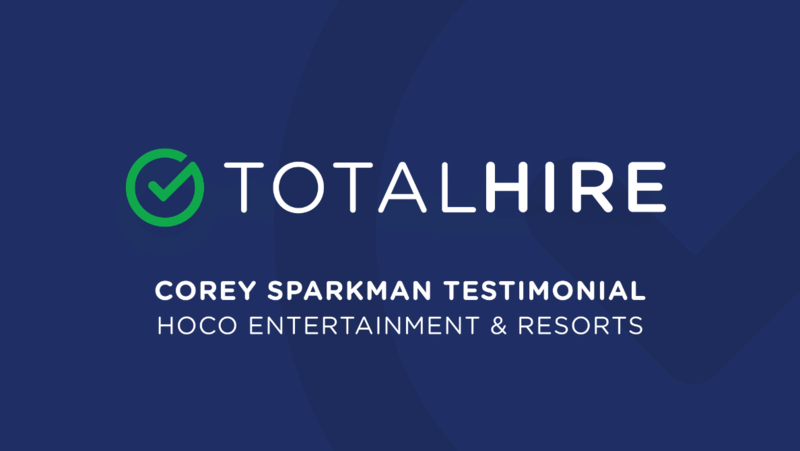 Corey Sparkman is the HR manager for one of the most competitive hiring firms in the Niagara Falls region, with seasonal workforce fluctuations ranging in the hundreds. This means they needed a competitive edge, a set of tools that allowed them to manage their applicants and hire new talent more effectively. I think the benefit is greatly recognized through the efficiency that the platform brings to your business. Big or small on any level you have to manage applicants whether that’s through email […] dealing with paper resumes, you know this eliminates that. [TotalHIRE] is a one-stop shop. HOCO is one of the leading organizations delivering entertainment to thousands of tourists every year, and improving the experience to individuals travelling to Niagara Falls. We’re proud to be providing the tools they need to help ensure their team is the best it can be and helping hundreds of people find work every year.